Photolemur uses advanced AI techniques to enhance your photos without you having to lift a finger. Photography can be a lot of fun, but it's not quite so enjoyable once you've downloaded all your photos from your camera and you have to get on with the business of making them all look their best. Because unless you're a really good or fortunate photographer, the shots you end up with never quite look as good as you expected, simply because a camera lens isn't as clever or sophisticated as the human eye. What you get is never quite what you see. And so you have to spend ages with photo apps, touching up your shots and playing with filters until your pictures are ready to share with the world. It's time-consuming and often tedious, but a new app aims to change all that. 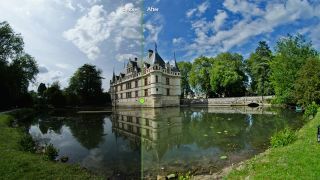 Photolemur is billed as the world's first fully automatic photo enhancement software. Powered by AI software, it aims to bridge the gap between what our eyes see and what our cameras take, and best of all there's almost no human involvement; you can dump a load of photos into it in one go, and leave it to get on with fixing them. Its AI technology can recognise objects, faces, trees, sky, foliage and more, differentiate between landscapes, portraits and macro photos, and it'll apply just the right enhancements for each image. And it learns as it goes; every saved or shared photo gets added to a database of successful enhancements, and every one you discard goes into an unsuccessful database, so the more you use it, the more tailored to your tastes it becomes. Photolemur can apply a range of fixes to your photos, including colour recovery, exposure compensation, smart dehaze, natural light correction, foliage enhancement and noise reduction; it'll even straighten horizons for you. It can also deal with RAW files directly, and its batch processing mode can cope with up to 40 photos in one go. It's out on 17 December on Mac; it'll work as a standalone app or as an Apple photos extension. A Windows version is due early in 2017, with mobile, online and corporate versions to follow later in the year. Photolemur will cost you just $29 if you pre-order by December 15; find out more here.